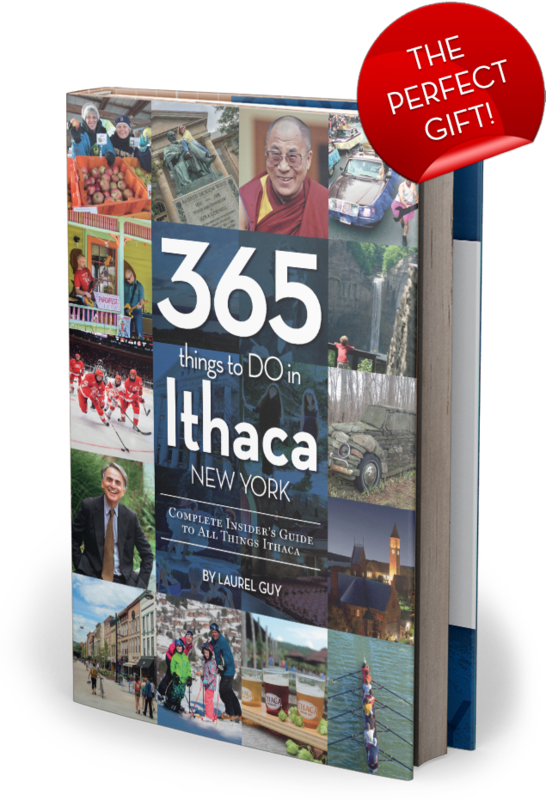 In this inspiring, innovative guidebook, Ithaca insider Laurel Guy weaves 10,000 details into a portrait of the town, its people and yes, the weather. Recording her thoughts over the course of a year, she takes readers on a one-of-a-kind exploration of the city and its surroundings, delving into both history and what’s new. Whether you’re new to Ithaca, dreaming of Ithaca or just visiting, you’ll learn why true Ithacans love where they live. Follow the original Yellow Brick Road. Hunt for the stone VW. Go rutabaga curling. Find Carl Sagan’s house and more. Laurel Guy knows Ithaca – its people, landscape, architecture, history, and spirit. She arrived in January 1981, terrified of driving in snow. Once she discovered Smartwool socks, Sorel boots, and all-wheel drive, she never looked back. 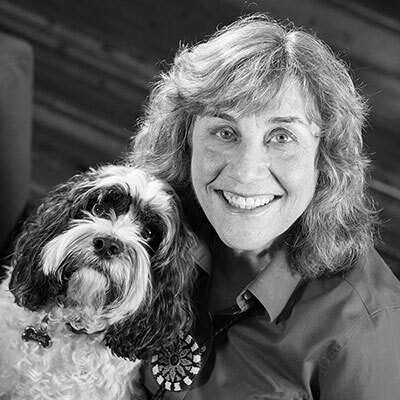 A founder of the Ithaca Artists Market and Circus Eccentrithaca, she served as director of the Ithaca Festival and the Saltonstall Foundation for the Arts. Guy is a 35-year resident and one of the most successful Realtors in the region. You might find her downtown walking her dog Hugo, or out in the field making plein-air pastels. Subscribe to Laurel’s newsletter and get ideas for more things to do in Ithaca, NY!